There are currently no national mandatory regulations for Letting Agents, however with such a complex web of law, regulation and codes of practice governing residential lettings it is important to choose an agency which will keep you safe and complies with the law. 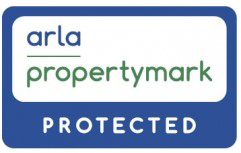 To become an ARLA member you must have Client Money Protection (CMP), client accounts regularly inspected independently and Professional Indemnity Insurance in place. You must understand and comply with complex legislative changes and best practice, attend regular training to keep skills and experience up to date and comply with the professional standards of the nationally recognised professional body for letting agents. Safe Agent is a mark denoting firms that protect landlords and tenants money through client money protection schemes. These schemes are run by recognised industry bodies or organisations operating in the private rented sector to provide accreditation and regulation. They are completely independent from the letting agent and they don’t act on behalf of, or have a duty of care to the participating firm. The Property Ombudsman (TPO) scheme has been providing consumers and property agents with an alternative dispute resolution service since 1990. TPO is a full member of the Ombudsman Association and adheres to the organisation’s principles of good governance for ombudsman schemes.